Well hi.. 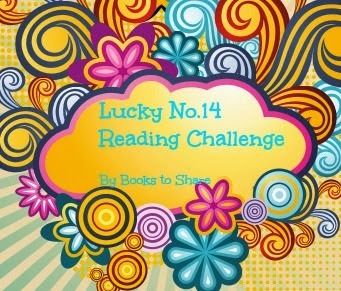 I think I still have strength to continue my reading challenge next year. What about your RCs this year? Yeah, I think I've passed them already. Ha-ha, not trying to be conceited and brag about them, but that's the fact. I tried hard to, at least, complete all challenge. Do I expect award by accomplishing them? Hmm, the first thing is I just want to have encouragement to read my pile of books. Then if I get awards by doing it, that's just consequence that I'm supposed to grateful to. 3 comments on "Lucky No. 14 Reading Challenge"
buseeeeetttt itu yang not my cup of tea kayanya sangat menantang deh dhil hihihi...thanks udah join ya, good luck dhilla!